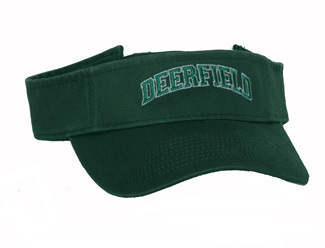 Classic washed cotton visors in 100% cotton twill. 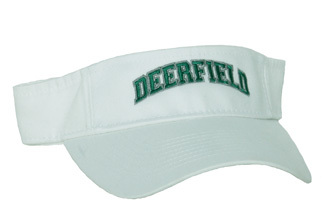 DEERFIELD embroidered across low rise 2" front panel. 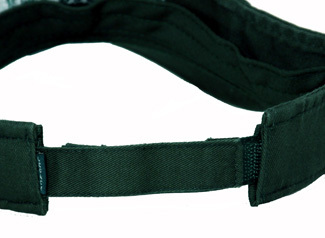 With adjustable rear Velcro closure. One size fits most. Available in white only.